I’m happy today to host a chat with bestselling novelist Tana French, conducted by guest interviewer Tara Laskowski — a fan and friend of French’s as well as a fine writer in her own right. French’s third novel, Faithful Place, will be published Tuesday, July 13, and has already been receiving rave notices, including a laudatory review in this past week’s New York Times. But as French reveals to Laskowski, the Times’ guess about her next book is just slightly off the mark. 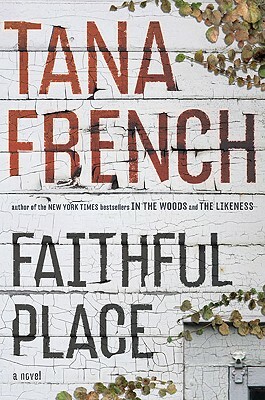 Tana French‘s linked mystery series has quickly made her one of the most interesting mystery authors of the decade. Her first novel, In the Woods (reviewed here), was a New York Times bestseller and won the 2007 Edgar Award for Best First Novel. The novel follows Rob Ryan, a detective trying to solve a murder of a young girl while simultaneously dealing with the memories it dredges up of a painful childhood trauma of his own. French followed that novel with The Likeness, another New York Times bestseller, which tells the story of Cassie Maddox, one of the beloved characters in In the Woods. Now French’s third novel, Faithful Place, focuses on undercover detective Frank Mackey, a character who first appeared in The Likeness. In this book, an old suitcase found in an abandoned building suddenly pulls Frank back to a childhood and a home that he desperately wants to leave behind. As Frank tries to solve the long-ago murder of his first love, he also discovers things about his past and his family that might change his life forever. Here French offers up some insight into her linked novels and why she chooses to write this way, and also talks a little about the new novel and what’s in store for readers of the series. Tara Laskowski: I really love how you take a different character to focus on in each of your books, rather than writing multiple novels about the same hero or heroine. Can you talk a little about why you choose to write this way, and how it works for you? 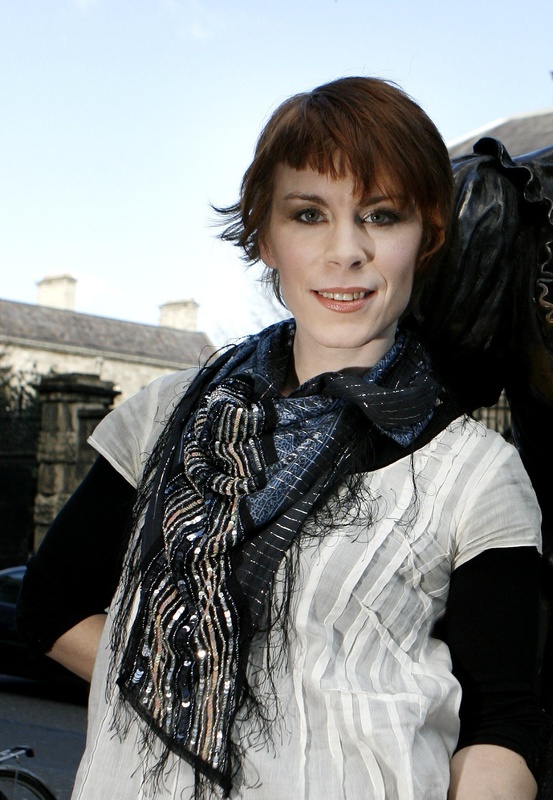 Tana French: I’m interested in writing about the huge turning points – those moments when you know that, whatever you choose, all the rest of your life will be shaped by that choice. The thing is, though, that most people’s lives don’t hold more than, say, two or three of those moments. So when I started to think about a second book, I realized I had three options. I could go with the usual series pattern, which follows one protagonist through the ups and downs of his or her life – but, while I love reading those series, the idea of writing one somehow felt anticlimactic. I could keep dumping my poor narrator into enormous, high-stakes, life-changing situations, which felt pretty strained and artificial. Or I could switch narrators. Switching narrators seemed to make the most sense. Also, I’ve always been fascinated by the way that reality shifts when it’s seen through different eyes. It’s like the view through a kaleidoscope – the same pieces can add up to totally different things. Switching narrators means that I get to explore that. I haven’t done that in as much depth as I’d like to someday, but in The Likeness, for example, it becomes clear that Cassie’s experience of the events around In the Woods wasn’t exactly the same as Rob’s. This is the third of your novels, and the one perhaps most focused on family and home. Was this a deliberate shift, or did it happen naturally because of your main character Frank? Frank is the first of my narrators to actually have a family and a home! Rob and Cassie are both missing those things, and their attempts to deal with that come into play in the books. Cassie’s lack of roots, especially, makes her very vulnerable to the seduction of Whitethorn House, where all the housemates are throwing themselves into constructing a surrogate family and home to make up for the ones they never had. Frank, on the other hand, is from a big family in an old, close-knit part of inner-city Dublin – he has, if anything, too much family and too much home. That focus wasn’t deliberate; it definitely came from having Frank as the narrator. In The Likeness, where he’s a supporting character, it was clear that he’s a working-class Dublin guy and that this means a lot to him – so when I started thinking about him as a narrator, that was what I thought about: this focus on his roots. At the same time, though, I pictured him as someone who had very deliberately cut himself off from those roots, while maintaining a passionate and paradoxical loyalty to them. That passion and that paradox gradually moved to the forefront of the book. Faithful Place is the name of the neighborhood where Frank grew up. It is filled with both happy and awful memories, and the place itself is definitely its own character in this novel. Do you have a childhood place like this that you identify strongly with? Do you think people can ever really break free of ‘home,’ and should they? No, I don’t have any corresponding childhood place. We moved around a lot when we were little, because of my dad’s job; because of that, and because I’m a mix of several nationalities to begin with, I’ve never been too clear on where I’m “from” and I don’t have a childhood home. Probably because of that, I’ve always been fascinated by people like Frank who have deep and undeniable roots, people who grew up in the same place and the same community as their parents and grandparents. To me, there’s something breathtakingly powerful about that. I don’t think there’s any such thing as breaking free of home, whatever home is for you. It’s part of what created you; it’s built into your bones. I think there are ways to grow past any damage that home may have done you, and to embrace and celebrate whatever good things it’s given you. At the beginning of Faithful Place, Frank is very positive that his home was a purely corrosive influence, and that he’s left it far behind. By the end of the book he realizes that the second of those things is impossible, and the first is a lot less simple and straightforward than he thought. Who is the character you’ll be focusing on for your next book? Why did you choose him/her? The narrator of Book 4 is Scorcher Kennedy, who shows up in Faithful Place as Frank’s old friend/rival/pain in the arse. Originally I was planning to write about Stephen, the young detective whom Frank half-befriends, half-manipulates – but I had a very basic premise for the fourth book, and the more I thought about it, the more it became clear that this was Scorcher’s story, not Stephen’s. The story spins around themes that are crucial to Scorcher, not so much to Stephen. And that’s what I’m interested in writing – books where the plot and the narrator are inextricable; where no other narrator could have told this story, because the core of the story intersects with the core of the character. Your first novel, In the Woods, focuses on a troubled cop named Rob Ryan. That novel left readers with some unsolved questions, and I’m curious: Are you going to go back one day to Rob? I’d really like to. I’m hoping to keep writing about the same general bunch of main characters for a while. I’ve got interested in them! Finished “The Likeness” today. I had been waiting to buy it for what seemed liked centuries hoping to have some closure from “In the Woods” which instantly became my favorite book. Although, “The Likeness” didn’t tie up my loose ends, I was hoping to tie up, it just made me fall more in love with Tana French, these characters and the stories behind them. I should be buying “Faithful Place” soon. But I hope to the wonder of Tana French that she will be writing another story centered on Rob. Because I really feel like that relationship between he and Cassie is too good to just let die off into the smoke. WE NEED A CONCLUSION TO THEIR STORY. Especially his childhood, and whether or not Sam and CAssie are really made for each other. I LOVED this book! Strted to slow my reading towards the end because I didn’t want it to end. No loose ends in this one. I think it’s the best of the three and is sure to be a NY Times best seller. If not, they’re crazy! Great interview of one of my favorite authors. Thanks!